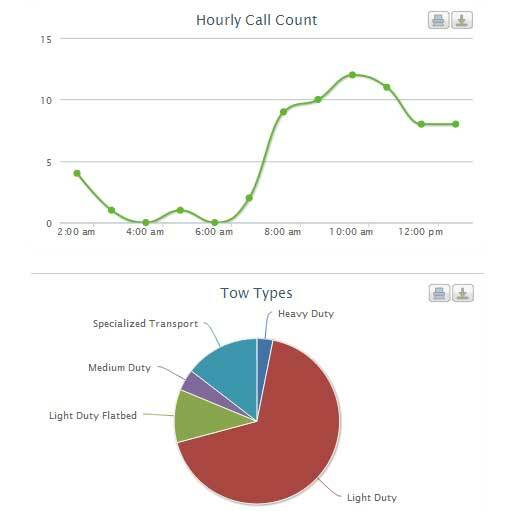 The TowXchange family of products offer a complete software solution for management of your towing operation. We offer products and services including a full-featured dispatch management system, mobile data services, motor club digital dispatching, customer integration services, and more. Our products and services together create a powerful tool to help you better manage your business. A quality towing management system can increase employee productivity, improve customer service, and provide a competitive advantage. Real-time call updating without the need for voice communication via radio or telephone with the dispatch office. This tool is extremely helpful in accurately recording arrival times where ETAs are important, updating call information, taking images and navigation to the breakdown location. TOPS gps is a fleet-tracking tool which integrates with TOPS, showing both tow request locations and your trucks on a common map to offer a truly visual dispatching experience. With TOPS link, your customers can use the Internet to request service, check status of calls in progress, inquire about vehicles in inventory, and more.